A new bar-restaurant dedicated to Buffalo firefighters and police has opened at 445 Delaware Ave., in the former Greystone. Buffalo Station House, a project by Dave Cronk, Ben Bell and Justin Driscoll, began its soft-opening phase Thursday night. The business aims for a refined feel, with abundant wall decor featuring art, police and fire department memorabilia collected by the owners and donated by passionate members of the community. Back in August, The News' Andrew Galarneau previewed the plans of the owners, who also run Biergarten at Orchard Park. An abundance of TVs, an upscale food menu and familiar faces - such as off-duty firefighters - behind the bar. 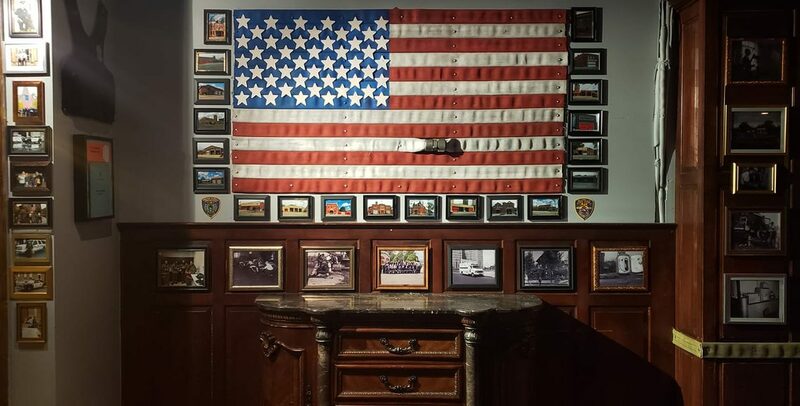 A glance through the Station House's Facebook timeline reveals cool items situated around the bar: a large American flag made from re-purposed fire equipment, a Buffalo-themed table where the skyline sits inside the outline of a buffalo, old photos mounted on the wall, patches and more. On its Facebook page, Buffalo Station House announced it would open at 10 a.m. before the Delaware Avenue St. Patrick's Day Parade on March 17. The business could not be reached for comment.